Every year, the show welcomes new breeds to the ring, and this time, three breeds will be first-timers at Westminster. One is the Pumi, the floofy pooch pictured above. It’s a Hungarian herding dog that’s related to the mop-like puli (one of which is said to be the big favorite for the top prize). At a news conference last week, the owner of the pictured Pumi told the Associated Press that Pumi parents are so used to hearing their dogs called “cute” that they’ve made an acronym out of C-U-T-E.
“We say they’re ‘curious,’ ‘unique,’ ‘tenacious’ and ‘energetic,’” Nancy Nelson said. Another new entry will be the American hairless terrier, which, as its name implies, is not a furry sort — in fact, the dogs need sunscreen or a coat when they go outside, according to the American Kennel Club. Pope Francis’s visit to the United States has been marked in an unexpected way by some Americans. 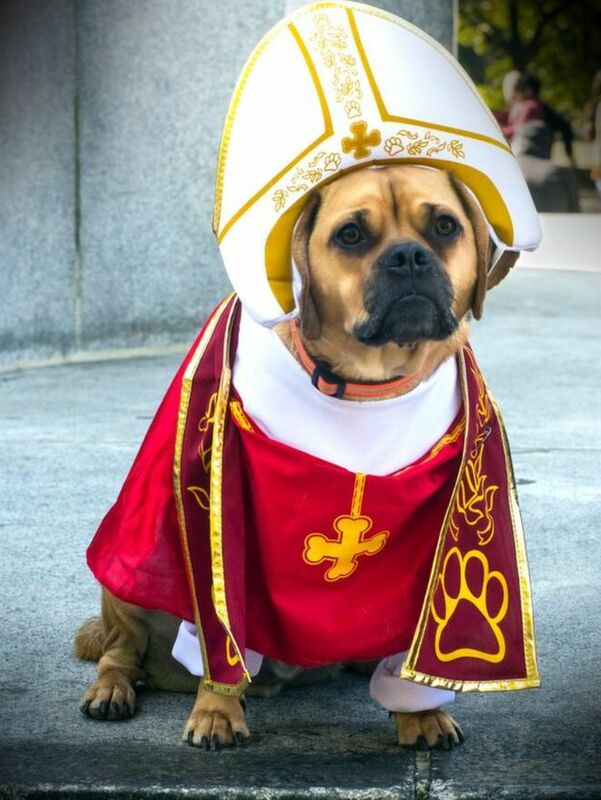 From Florida to New York and Pennsylvania dog owners have been dressing their pets in canine papal outfits with the hashtag #popedog on Instagram. “Everyone loves cute puppies, and everyone loves Pope Francis,” said John Scorr from Brooklyn, who dressed three-year-old Puggle Giles in full papal regalia minus the staff. 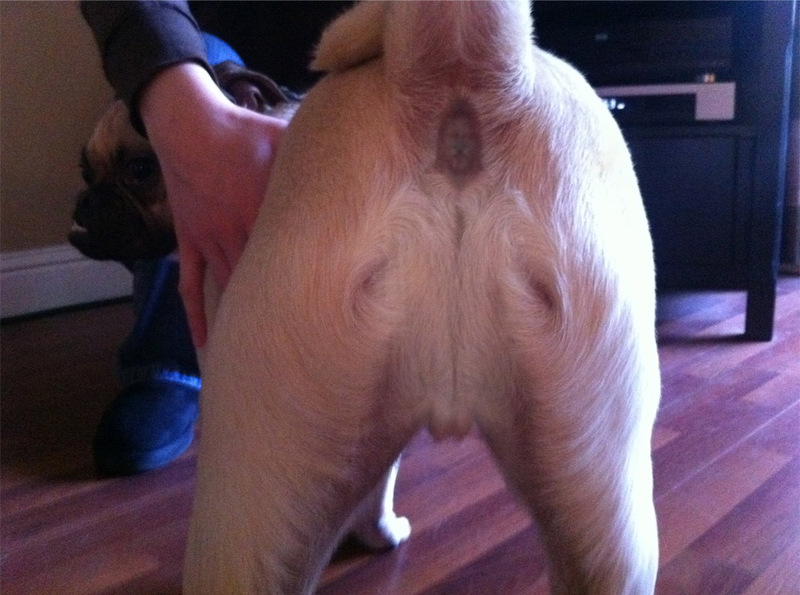 via ‘Pope dogs’ craze triggered by papal visit – BBC News. In its 123-year history, Crufts has attracted a few controversies, from arguments over eugenics to rumours of dog-nobbling by slipping laxatives into food or chewing gum into the fur of a prettily primped rival. Things may have taken a more sinister turn this year, however, after police were called in over the death of an Irish Setter who competed at the show, after claims it was poisoned. Three-year-old Thendara Satisfaction, known as Jagger, collapsed at his home in Belgium on Friday, the day after showing at the NEC in Birmingham. According to his owners, a postmortem examination revealed that beef cubes in Jagger’s stomach were the source of the poison. via Dog world asks whodunnit over death of Irish Setter after Crufts | Life and style | The Guardian. I am talking, of course, about our dog. Read more: Dog Feats Reach New Heights – NYTimes.com. When their mixed-breed dog Kanga escaped from a kennel in November 2012, about ten miles from their home, the Koprowski family spent months searching for her. The northwest-side family searched neighborhoods, checked in with local kennels and scoured lost-dog postings on Craigslist. All to no avail. "She had to go through the winter of 2012, she had to go through the summer, which was really hot, monsoons, rattlesnakes, so we weren’t very hopeful," Nancy Koprowski said about Kanga. They hoped for the best, that a kind family had taken her in, but knew that after being lost in the desert for so long the odds were against her. But it wouldn’t be the first time Kanga beat the odds. Read more: Family finds missing dog 14 months later. It has been almost 10 years since Bashur the dog left a war zone in Iraq for a quiet home in the Chicago suburbs, and in that time, a lot has changed. Once small enough to fit in the palm of the Army officer who rescued her from a life in the wild, she has grown to a 110-pound hulk. Once attuned to the faint noise of distant but rapidly approaching rockets, her radar now locks onto deer and foxes. But one thing is still the same. Bashur remains a paragon of faithfulness — only now, the center of her world is the officer’s father, Hampshire car dealer John Fenzel. via Iraq War dog living comfortably in Chicago suburbs – chicagotribune.com.